The Malmok area in the north of the Washington Slagbaai National Park has a long habitation history from the earliest Amerindian times, through the European occupation and into the twentieth century when a research station and lighthouse were built there. It also played a particularly important role as a habitation site for enslaved people during the colonial period. Archaeological remains from these various periods are still found everywhere in the Malmok area. 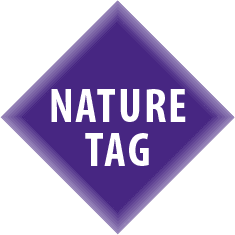 The insights derived from this project serve as a basis for creating awareness about important archaeological sites in the park and will serve as a template for future projects. During an archaeological survey, all archaeological sites in the Malmok area were mapped. This information was used to create an interactive experience in the Visitor Center at the park’s entrance. The information will be displayed in a virtual tour which visitors can use to explore the area and which will give them information about archaeologically and historically interesting facts at Malmok. With this knowledge, they can then proceed to visit the site itself. In this way, the cultural heritage of the park will be promoted and information about it made available to a large audience. In addition, the remainder of the funds were re-allocated to include production of a dual language sign placed at the location of Malmok. 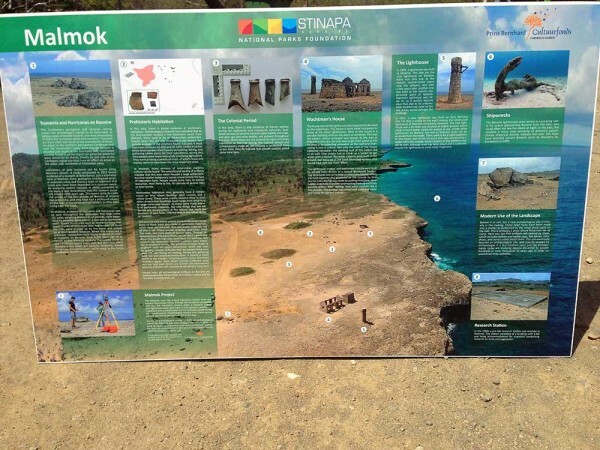 This sign in Papiamentu and English reflects the findings of this project and gives visitors information about what they are looking at on-site. 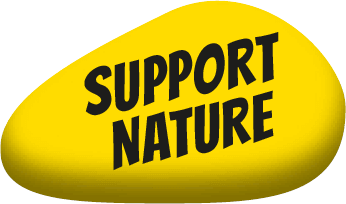 This will enhance visitor’s experience and teach them about the history, both cultural and geological, of the most northern part of Bonaire. The Caribbean’s geological and tectonic setting causes the archipelago’s islands to be vulnerable to various types of coastal hazards, the most devastating of which are hurricane swells and tsunamis. Tsunamis are most often the result of the movements of tectonic plates in the northern and eastern Caribbean and near the Venezuelan coast. Even though Bonaire is situated just south of the hurricane belt, hurricanes passing far north of the island can generate powerful wave action on its shores. Events on one side of the Caribbean can thus have an effect on areas on the other side, hundreds of kilometers away. 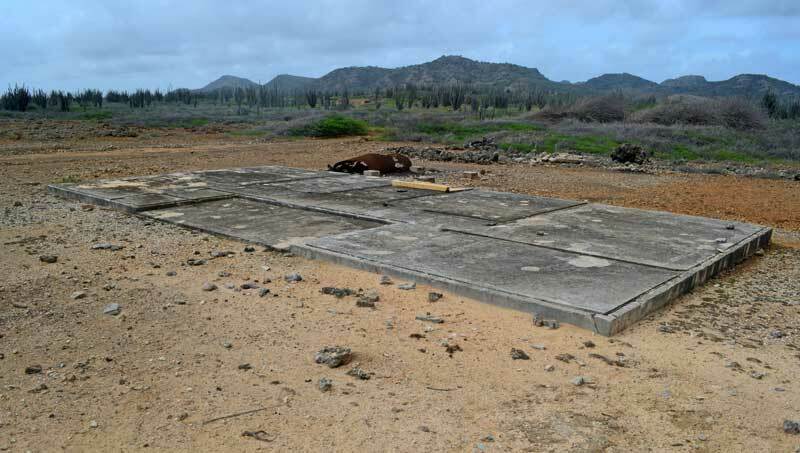 Indications of past tsunamis can be found along Bonaire’s shores. A study conducted in 2012 found evidence of a tsunami at Boka Bartol, just a kilometer west of where you are now. Here, geologists investigated several sediment cores and found a layer of sediment that could only have been deposited in a tsunami event. By analyzing carbon isotopes in shells contained in the layer, it was determined that this tsunami occurred around 3200 years ago. 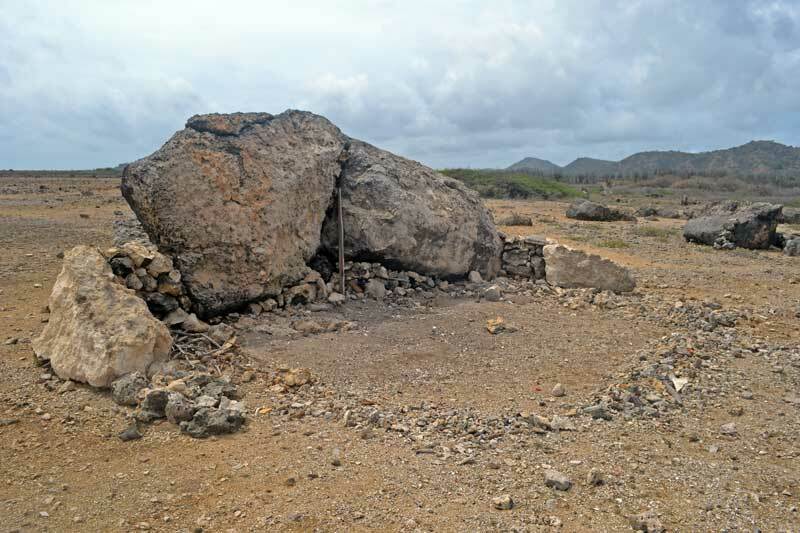 This event coincides with the arrival of the first people on Bonaire at around the same time, and may have had a profound impact on the lives of the newly arrived settlers as they were living near the coast. At Malmok, evidence of tsunamis and hurricanes can be seen throughout the landscape as well. The large rocks on your left side, some weighing thousands of pounds, were deposited by extreme wave events: a tsunami or hurricane swell. Waves struck with such an immense force that loose chunks of limestone that had broken off from the cliffs were pushed up by the water and ended up at their present location. 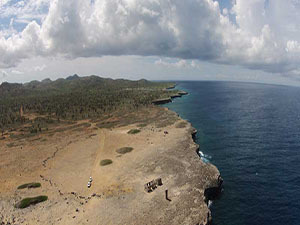 When this happened is unknown; researchers have found evidence of several tsunamis on Bonaire, from 4,300 years ago to as recent as the fifteenth century. Hurricanes occur in the Caribbean nearly every year, but they only affect Bonaire a few times per century. 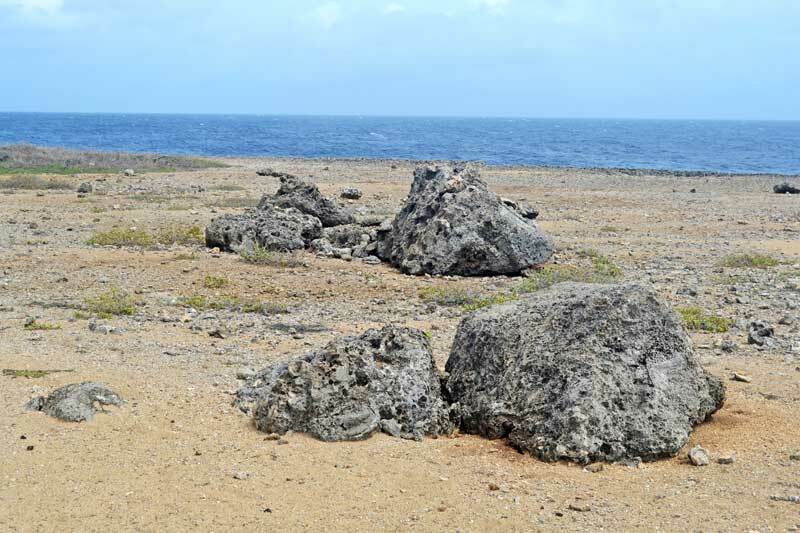 Evidently, people living near Bonaire’s coasts had to adapt to the forces of mother nature to survive. In this area, there is ample evidence of prehistoric habitation. Archaeological research has indicated that at Put Bronswinkel, located a few kilometers south, there used to be an Amerindian settlement. 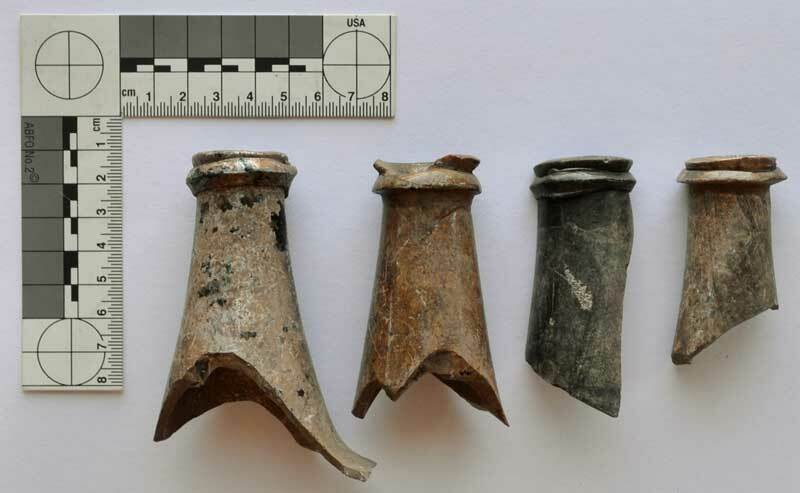 Exactly when this site was inhabited is not known, but stylistic analysis of the ceramics found indicates it must have been between AD 800 and AD 1400. Unlike in earlier times when people relied heavily on hunting, fishing, and gathering edible plants for their subsistence, during this time people were more intensively practicing agriculture. They were growing a variety of crops, of which maize and manioc seem to have been the most important ones. At Malmok, many remains of Amerindian material culture can be found. The amount and variety of artifacts indicate that this area never housed a large settlement, but that smaller, temporary camps characterized the type of habitation here. People would come here to extract resources, most likely to fish, for periods of several days or even weeks. Amerindian habitation sites generally have 2 components: an area where dwellings were located, and a refuse dump. These were usually situated close to each other. Amerindian dwellings could range from small huts to large communal houses. As these were made entirely of perishable materials, the only things that are left behind are discolorations in the subsoil that mark the locations of post holes. The red area is the refuse dump or ‘midden’. This was the area where people dumped discarded items. Many of these were also made of perishable materials, which have not survived. Non-perishable materials are all that is left. These include ceramics, coral tools, small flint tools, and many shells of various types. Through detailed analysis of these artifacts, we can learn a great deal about the people that once lived here. 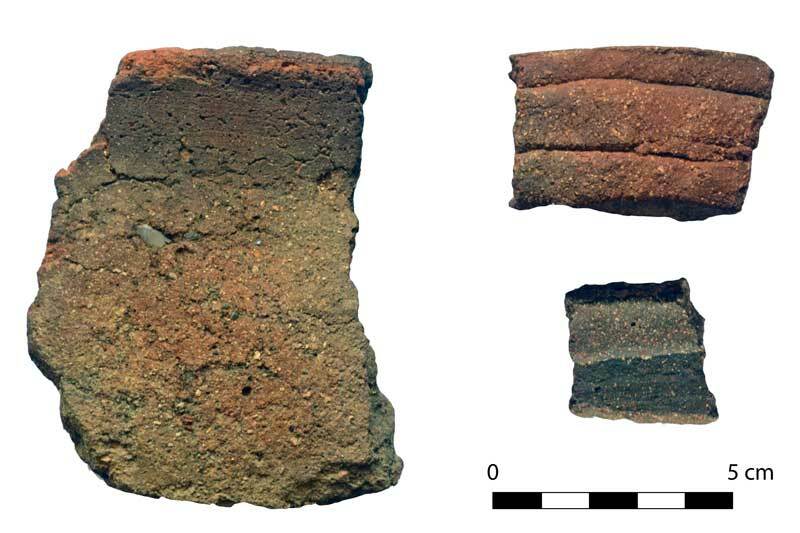 For example, clay analysis can determine whether ceramics were imported or produced locally. The presence of tools made of staghorn coral (Acropora cervicornis), which was used for grating cassava, indicates that the people living here were not just relying on hunting, fishing and gathering food, but also practiced horticulture. A variety of shells found at the midden, including queen conch (Lobatus gigas), West Indian topshell (cittarium pica), and the land snail cerion uva (Cerion uva bonairensis), point to a diverse diet adopted by the people living here. In this area, there is also evidence of human activity during the eighteenth and nineteenth centuries. Scattered remains of ceramic mineral water bottles and cups, and glass gin and wine bottles, are present throughout the area. While these are not necessarily signs of human habitation at Malmok during the colonial period and contemporary maps do not indicate a settlement here at this time, they do indicate that people used to spend some time here. In 1906, a lighthouse was built at Malmok. This was not the only lighthouse on Bonaire; there was also one at the island’s southernmost point near the salt pans, and only a few years later another one was built at the island’s easternmost point at Spelonk. Malmok’s lighthouse was never lit, as it quickly became apparent that due to its unfavorable location too close to the sea, waves would damage the buildings. In 1927, a new lighthouse was built on Seru Bentana (the hill that is visible to the east) making the never-used lighthouse at Malmok completely obsolete. The new lighthouse was a lot taller and situated on higher ground, which made it much better visible for people at sea. Unlike other lighthouses on Bonaire, the one at Malmok could not be accessed from the inside. There used to be a metal platform on the higher part of the structure that was accessed by a ladder from the outside. Some remains of this platform can still be seen, although most has fallen down and is scattered around the lighthouse as small metal fragments. The house next to the lighthouse was supposed to be used by the watchman. This house is fairly small compared to those at the other lighthouses. Next to the house is a peculiar building without any doors or windows. This was the cistern, where rainwater was stored. As the area at Malmok is very dry, the only way to get fresh water at this location is by collecting rainwater on the roof and channeling it into a cistern. Not only the roof of the house collected rainwater, the slanting roof of the cistern did so as well. One simply had to climb up a ladder to get water with a bucket. Normally, cisterns were built in the ground, but because of the hard limestone surface, this would have cost too much effort. The lighthouse, cistern, and watchman’s house were built by people from Rincon in a typical Bonairean fashion. The structures are composed of limestone blocks, which are held together and plastered on the outside by lime mortar. Lime mortar was made by putting limestone, coral rubble, and shells in an oven and heating them up until they became brittle. After cooling, they were crushed into a fine powder. This powder was mixed with sand and water and made the perfect mortar. 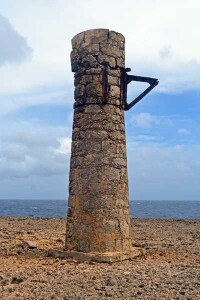 The three lighthouses were aimed at increasing safety for sailors approaching Bonaire from the east, who could often not see the island at night. 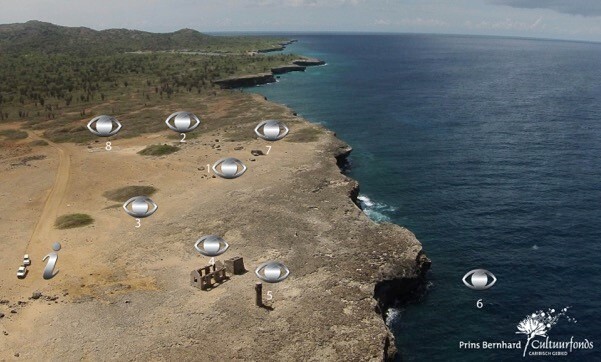 In the past, this resulted in many ships wrecking on Bonaire’s eastern shores. 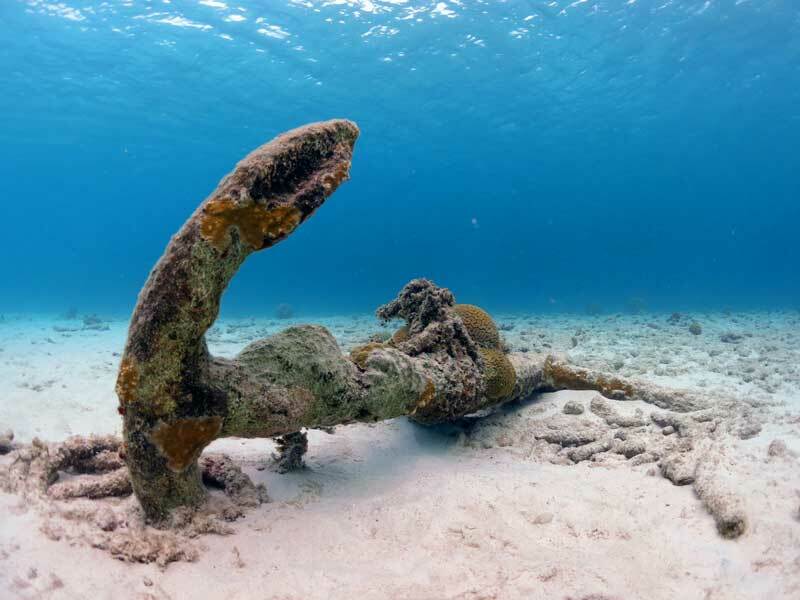 Historical records indicate that over 150 ships have wrecked around Bonaire since its discovery by Europeans in 1499. In the 1960s a pre-fab research station was erected at Malmok. The station consisted of a building with a lab and living accommodations for scientists conducting research on birds and vegetation. Large rocks have been made into a shelter as evidenced by the small stone walls on the side. This is probably a place where fishermen set up camp. Here you can find trash left behind by them, which includes bottles and bottle caps, fish bones, cans, shoes, and various other metal and plastic items. This trash will eventually become an archaeological site, and may be studied by archaeologist in a few hundred years just like archaeologists today are studying objects discarded by people hundreds or even thousands of years ago in order to reconstruct their activities. A new archeological site in the making.